The role of the workshop in the creation of African art is the subject of this revelatory book. In the group setting of the workshop, innovation and imitation collide, artists share ideas and techniques, and creative expression flourishes. 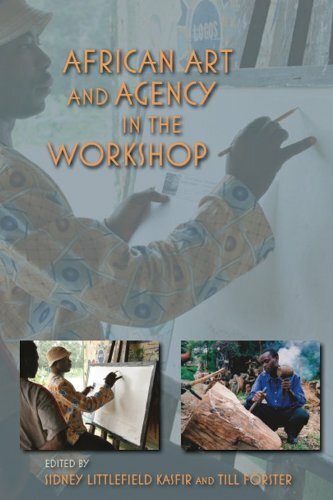 African Art and Agency from the Workshop examines the variety of workshops, from those which are politically driven or tourist oriented, to those based on historical patronage or allied to current artistic trends. Fifteen lively essays explore the impact of the workshop on the production of artists such as Zimbabwean stone sculptors, master potters from Cameroon, wood carvers from Nigeria, and others from across the continent. Jo Baim is Assistant Organist at historic Trinity Parish Episcopal Church in Seattle and a freelance choreographer. She is an oblate of the Benedictine Monastery of St. Gertrude in Cottonwood, Idaho. She lives in Seattle, Washington.